This NPP data set provides one data file (.txt format). The data are above-and below-ground biomass, litterfall, leaf area index (LAI), vegetation/soil micro-nutrient content (P, K, Ca, Mg, etc. ), and above-ground net primary productivity (ANPP) estimates for transitional moist/dry tropical forests at Rio Lara (wet season site) and Rio Sabana (dry season site) in Darien Province, Panama. Both plots were considered representative of the surrounding forest. The area was thought to have been forested for the previous 400 years, following abandonment of open savanna lands maintained by the Precolumbian Indians. Field measurements were made in 1967 and 1968. No climate data are provided. Total annual leaf and branch fall averaged for the two sites was 1,137 g/m2/yr, representing a minimum ANPP estimate. Litter decomposition over the 9-month wet season was around 90%. LAI at both sites was high; however, the index for the dry site (10.6 m2/m2) was only half that of the wet season site (22.4 m2/m2). Apart from litter quantity, most of the differences between the respective site measurements reflect variations between the plots. Revision Notes: The NPP data file has been revised to identify sub-site locations in the Treatment column, correct understory biomass estimates for both sites, and add LAI data. Please see the Data Set Revisions section of this document for detailed inforamation. Figure 1. Tropical moist forest near Santa Fe, in the vicinity of the Darien study site, Panama. (The trees without leaves are emergent cuipo. Photograph taken February 1967 by G. Child. Reproduced by kind permission of F.B. Golley and the University of Georgia Press). Golley, F.B. 1998. 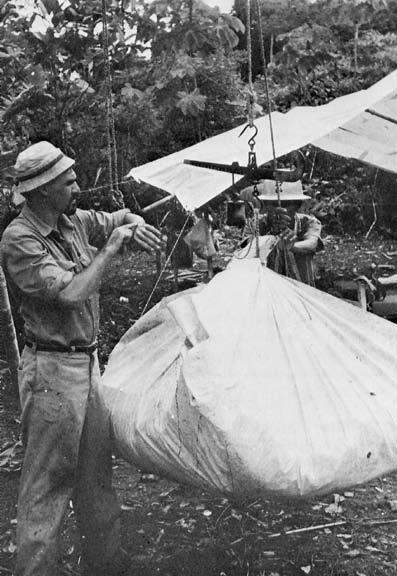 NPP Tropical Forest: Darien, Panama, 1967-1968. Data set. Available on-line [http://daac.ornl.gov] from Oak Ridge National Laboratory Distributed Active Archive Center, Oak Ridge, Tennessee, U.S.A. The NPP measurement presented here is the sum of total annual leaf and branch fall in 1967-68 at Darien Province, Panama. Above- and below-ground biomass and nutrient content of different vegetation components and soils for a transitional moist/dry tropical forest were also determined. Biomass and micro-nutrient content (P, K, Ca, Mg, etc.) of stems and leaves of overstory and understory, wood of branches and trunk, fruit/flowers, dead wood, and litter were measured in the dry season (February) and the wet season (September). Leaf and wood litterfall was measured bi-monthly during the dry season for one year. Apart from litter quantity, most of the differences between these data reflect variation between the two plots sampled, rather than seasonal changes. Total annual leaf and branch fall averaged for the two sites was 1,137 g/m2/yr, giving a minimum estimate of ANPP (Golley et al., 1975; Olson et al., 2013a, b; Scurlock and Olson, 2012). Clark et al. (2001a, 2013) report ANPP estimates of 1,050 g/m2/yr for the Rio Lara site and 1,160 g/m2/yr for the Rio Sabana site. Litter decomposition over the 9-month wet season was around 90%. Each study area contained of a 0.25-ha clear-cut vegetation harvest plot with ten 1.0-m2 subplots for root extraction (to 0.3 m depth), ten 1.0-m2 litter collection subplots, ten 1.0-m2 fine litterfall traps, and ten 2.0 x 2.0-m branch fall subplots. LAI was measured from harvested leaves. Soil was sampled to 91 cm deep in two soil pits at each site. Above-and below-ground biomass and standing litter crop measurements were made in February 1967 at the Rio Sabana site (dry season) and in September 1967 at the Rio Lara site (wet season). Measurements of standing litter crop biomass were repeated in February 1968 at the Rio Sabana site. Litterfall was collected from May 2, 1967 through February 27, 1968 at the Rio Sabana site. Climate data are not available. Above-and below-ground biomass measurements were made once. Standing litter crop biomass measurements were made twice, one year apart. Litterfall biomass measurements were made bi-monthly. Above-and below-ground biomass and ANPP estimates are based on plant dry matter accumulation, expressed as g/m2 and g/m2/yr (dry matter weight), respectively. LAI is expressed as m2 /m2. Micro-nutrient content of vegetation and soils is expressed as parts per million (ppm). NPP Data. NPP estimates for the Rio Sabana and Rio Lara sites are provided in one text file (.txt) (Table 1). The variable values are delimited by semicolons. The first 18 lines are metadata; data records begin on line 19. The value -999.9 is used to denote missing data. Above-and below-ground biomass and ANPP estimates are based on plant dry matter accumulation, expressed as g/m2 and g/m2/yr (dry matter weight), respectively. Notes: 1Golley et al. (1975). 2Golley et al. (1969). The accumulation of biomass, or NPP, is the net gain of carbon by photosynthesis that remains after plant respiration. This data set accounts for total annual leaf and branch fall, giving a minimum estimate of above-ground NPP. This study was undertaken primarily to assess the transfer of micro-nutrients between structural compartments in the tropical moist forest at Darien. The combination of litterfall, rainfall, chemical content of rain water and river water draining the forest system, and the standing nutrient data permitted the calculation of transfers and losses and completed the description of mineral cycling in the forest. The pattern of litterfall input for the tropical moist forest at Darien is similar to that observed in Colombian and African tropical moist forests (Table 3.2 in Golley et al., 1975). Comparison of the forest biomass at Darien with that of several other tropical moist forests indicates that the Darien forest does not exhibit unusual weights of leaves, stems, understory, or litter. However, the estimates of root biomass appear low. The investigators suspect their underestimate was due to missing the tap roots and the root crowns directly beneath the stumps. Comparison of the micro-nutrient inventory in the vegetation and the soils at the two Darien sites suggests there is a large site or seasonal effect on the chemical content of the forest (Golley et al., 1975). The LAI value for the wet season plot is unusually high. However, there have been high values of LAI reported for other vegetation elsewhere (12 to 28 m2/m2) (Golley et al., 1975). The Darien Province of Panama is characterized as a broad, flat valley bisected by the Chucunaque and tributary rivers, with the Caribbean coastal mountains on the east and a low Pacific coastal range on the west. Tropical moist forests covered over 75% of this total land area at the time of this study. The most prominent features of the vegetation type were the emergent deciduous trees, the cuipo (Cavanillesia plantifolia) and the bongo (Ceiba pentandra), both of which lose their leaves during the dry period of January to April. These two species reached a height of 20 to 50-m, emerging above an irregular canopy of evergreen trees and palms. Leaf-fall was greatest at the onset of the dry season. Evidence seems to show that the forests studied at Darien were about 400 years old at the time of this study. They replaced open savanna lands maintained by Precolumbian Indians. The authors of this study called this forest "tropical moist" forest after the Holdridge system, but recognized that it may be a transition between tropical dry and moist forest. The climate of Darien is characterized by a well marked dry season. Rain falls during eight to nine months (May to December), for a total annual rainfall amount of approximately 2,000 mm. The temperature remains relatively constant throughout the year, with a mean annual temperature of about 25 degrees C (Golley et al., 1975). The parent material of the soils in the area of interest was a shale which included interbeds of dolomite and calcareous sandstone. Petrographic analysis of the calcareous shale at Rio Lara showed it was made of 65% clay, 25% calcite quartz, and 15% feldspar, collophane, and organic matter. The structure, species composition, and ecological of the dynamics tropical moist forest at Darien is characterized by the response of emergent trees to the wet-dry climatic regime. Therefore, it was desirable to sample in both seasons; this was accomplished in February (dry season) at Rio Sabana (8.68 N, 78.12 W) and September (wet season) at Rio Lara (8.63 N, 78.13 W) since the former was inaccessible in the wet season. Although Rio Lara had a higher numerical density and basal area of trees (45.2 m2/ha) than Rio Sabana (26.4 m2/ha), both plots were considered representative of the surrounding forest based on their topography, number of tree strata, and presence of conspicuous species. The study sites were about 8 km apart, some 160-km ESE of Panama City and close to the town of Santa Fe. Figure 2. Interior view of the tropical moist forest at the Darien study site, Panama. 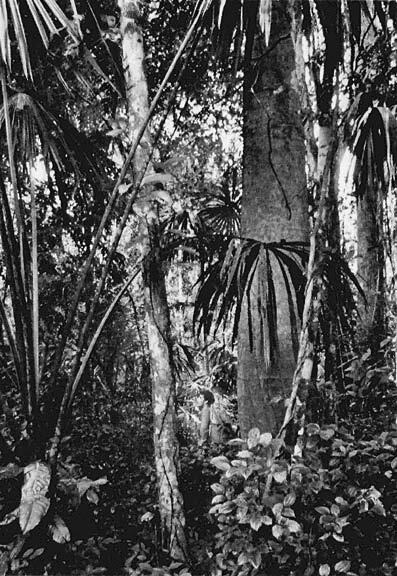 (Note the large bole of an emergent cuipo [Cavanillesia plantanifolia] and the guagara palm [Sabal allenii]. Photograph by F. B. Golley, University of Georgia, and co-authors. Reproduced by kind permission of F.B. Golley and the University of Georgia Press). The leaf surface (LAI) was determined by selecting 100 leaves at random from the piles of harvested leaves (see below), weighing them, and outlining each on a piece of graph paper. The paper outlines were cut and weighed and the weights converted to surface area. The average surface area per gram of leaf as multiplied by the total weight of leaves on the plot to estimate the LAI of the forest. Above-ground vegetation was harvested from 0.25-ha plots at each site. All plants under 2 m height (understory) were cut to ground level. Leaves, fruits, and flowers were separated from stems and each weighed separately. Then the diameter at breast height of all the remaining stems was determined. Next, samples of the overstory were taken from the distribution of tree diameters. All trees < 10-cm were harvested and components parts weighed. Ten percent of trees and palms in seven other size categories were harvested. Volumes were calculated based on diameter and length measurements and converted to weight. See Golley et al. (1975) for details. Roots (> 0.05-mm) were sampled from ten 1.0-m2 subplots to a depth of 0.3 m. Soil was sampled to 91-cm depth in two soil pits. Samples were taken from the harvested material, dried at 100 degrees C to constant weight, and weighed. The quantity of various elements (N, P, K, Ca, etc) in a given quantity of plant material was determined from harvested samples. Eight samples of plant material weighing about 500 g were collected from each component (leaves, stems, etc), dried at 100 degrees C to constant weight, ground in a Wiley Mill, and analyzed for element content by standard laboratory methods. These concentrations were then multiplied by the biomass to give the chemical inventory of a representative area of forest. The chemical concentrations in soils were determined by atomic absorption spectrophotometry. Litter on the forest floor (leaves, twigs, stem material, fruits, and flowers) was collected from ten 1.0-m2 subplots before the harvest of each site. A second sample from ten subplots was taken at the same location one year later to determine change in standing litter crop from one year to the next. Fine litterfall (leaves, small twigs, fruits, and flowers) was collected bi-monthly from ten 1.0-m2 litter traps, dried, and ground for chemical analysis. Branch fall material > 2-cm diameter was collected bi-monthly from 2.0 x 2.0-m ground plots. Samples were taken for dry weight and chemical analysis. Figure 3. Weighing leaf material in the forest at the Darien study site, Panama. (In the foreground is Jack Ewel, University of Florida, who has provided data on second-growth biomass. Photograph by F. B. Golley, University of Georgia, and co-authors. Reproduced by kind permission of F.B. Golley and the University of Georgia Press). Figure 4. 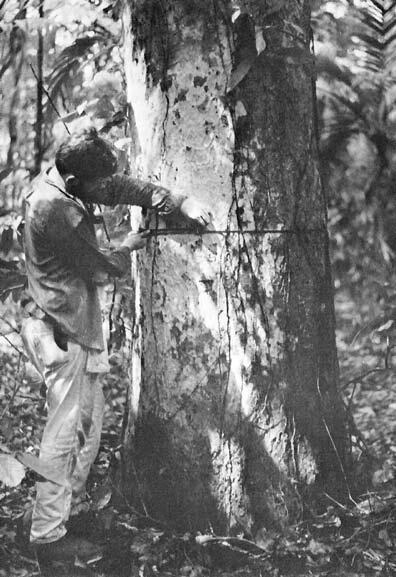 Measurement of tree diameter for construction of the diameter profile for the study plots at the Darien study site, Panama. Photograph by F.B. Golley, University of Georgia, and co-authors. Reproduced by kind permission of F.B. Golley and the University of Georgia Press). Figure 5. 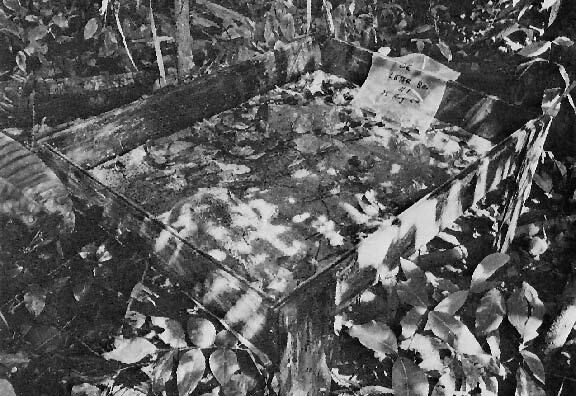 A litter collection box in the forest at the Darien study site, Panama. (The box is approximately one meter square and is held 20 cm above the forest floor by wooden legs. Photograph by F.B. Golley, University of Georgia, and co-authors. Reproduced by kind permission of F.B. Golley and the University of Georgia Press). Figure 6. 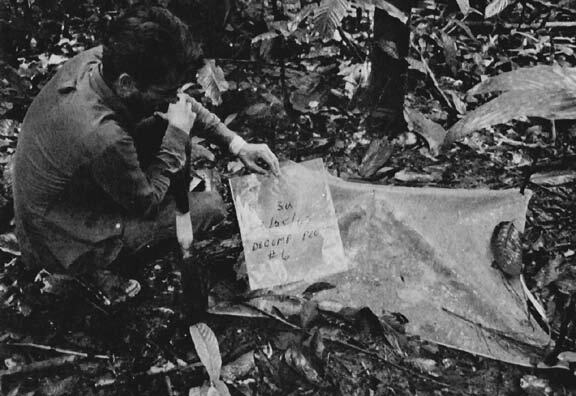 A litter decomposition plot at the Darien tropical moist forest site, Panama. (A fiberglass screen was held above the plot to prevent addition of falling litter. Plots were one meter square in size. Photograph by F.B. Golley, University of Georgia, and co-authors. Reproduced by kind permission of F.B. Golley and the University of Georgia Press). Golley, F.B., J.T. McGinnis, R.G. Clements, G.I. Child, and M.J. Duever. 1969. The structure of tropical forests in Panama and Colombia. BioScience 19: 693-696. Golley, F.B., J.T. McGinnis, R.G. Clements, G.I. Child, and M.J. Duever. 1975. Mineral Cycling in a Tropical Moist Forest Ecosystem. University of Georgia Press, Athens. 248 pp. Clark, D.A., S. Brown, D.W. Kicklighter, J Q. Chambers, J R. Thomlinson, J. Ni, and E. A. Holland. 2001a. Net primary production in tropical forests: an evaluation and synthesis of existing field data. Ecological Applications, 11(2): 371-384. Ewel, J.J. 1971. Biomass changes in early tropical successon. Turrialba 21: 110-112. Golley, F.B., J.T. McGinnis, and R.G. Clements. 1973. La biomasa y la estructura mineral de algunos bosques de Darien, Panama. Turrialba 21: 189-196. Lieth, H. 1975. Modeling the primary productivity of the world, pp 237-263. In: Lieth, H., and R.H. Whittaker (eds.). Primary Productivity of the Biosphere. Springer-Verlag, New York, New York, USA. Rzedowski, J. 1978. Vegetacion de Mexico. Limusa, Mexico, D.F. 431 pp. Sub-site locations in the data file have been identified in the Treatment (Treatmt) column: the term "dry" refers to the Rio Sabana site and the term "wet" refers to the Rio Lara site. LAI values from Page 29 of Golley et al. (1975) have been added. Understory biomass (Unstory) values have been corrected and replaced with those reported in Table 2.3 on Page 38 of Golley et al. (1975). Sub-site locations have been identified. LAI values for each sub-site have been added from Golley et al. (1975). Understory biomass data values have been corrected by replacing them with values from Golley et al. (1975). The data values in drn_npp_r1.txt are now correct. ** = Not reported in drn_npp.txt. Data User Action: If you downloaded this data set before September 6, 2013, you should download it again. Golley, F. B. 1998. 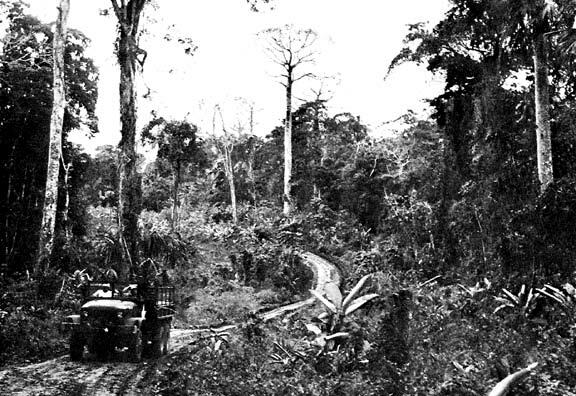 NPP Tropical Forest: Darien, Panama, 1967-1968. Data set. Available on-line [http://daac.ornl.gov] from Oak Ridge National Laboratory Distributed Active Archive Center, Oak Ridge, Tennessee, U.S.A.